Three levels of innovative and fashion-forward merchandise covering all areas of design, art, fashion, culture, and music. This lifestyle concept store has garnered world-renowned status over the past 10 years and remains on top of its game with exclusive fashions and rare or limited edition products from some of the worlds most sought after designers. 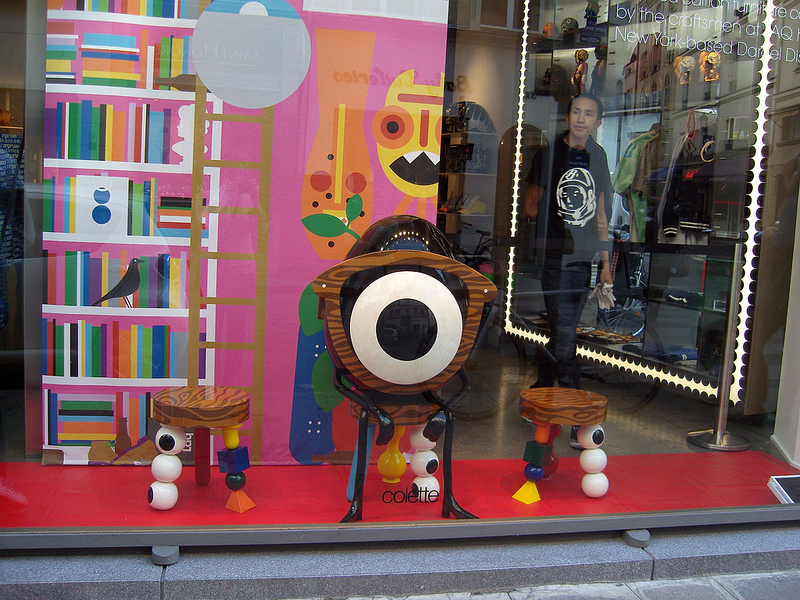 Colette is not only on top of up-and-coming trends, they are set them as well. This is the holy Mecca of cool is a ‘can't miss’ destination when in Paris. After shopping check out the uber trendy water bar in the basement for a selection of over 100 luxury bottled waters from around the globe. If expensive water isn't your thing rest assure that there are other beverages on the menu, and even some swanky snacks and small plates offered as well.